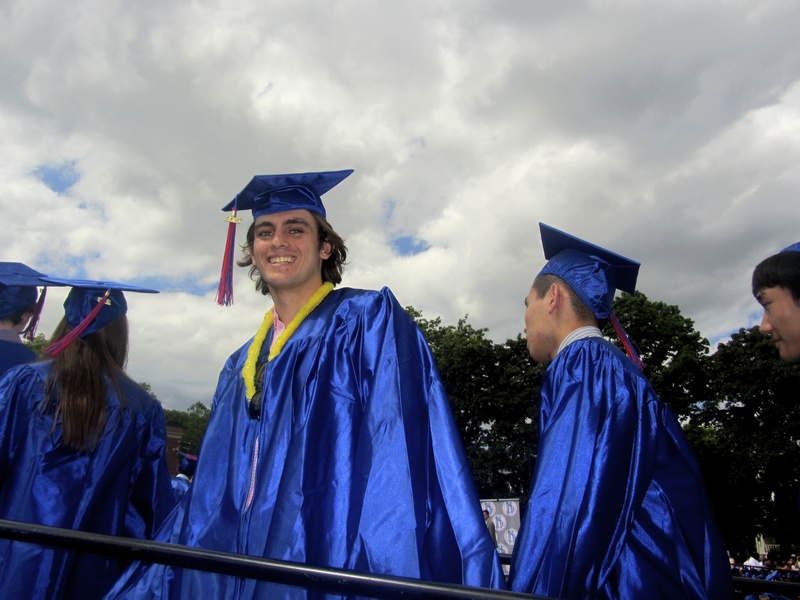 Today is Brookline High School’s graduation. I was there two years ago, and I will be there next year. Parents, I am guessing you are feeling a lot of stuff. It’s all normal. My advice: wear sunscreen, bring water, don’t wear mascara. And don’t downplay how much work YOU did to get to this day. You don’t have to announce it, or put it on a cake, but just know, your kid didn’t get here because you were laying in bed eating Ben & Jerry’s. Here’s something I wrote to my boy the day he walked on the stage at Cypress Field. Enjoy every sad and super celebratory moment of today. It is a milestone for sure. Love to you all.